In March 2017, the Queensland government announced that the Sunshine State would roll out its own cash for containers program. The Containers for Change scheme commenced on 1 November 2018. To keep up-to-date on what’s happening in Queensland, and to start cashing in your containers, sign up to Crunch and visit your local Envirobank-operated container refund point. Recycling bottles and cans in Queensland. Containers for Change will operate under the appointed Product Responsibility Organisation (PRO) Container Exchange. The scheme was designed to reduce the volume of drink container litter that enters the environment and help improve Queensland’s recycling rate. At 44%, the recycling rate in Queensland is one of the lowest in the country. 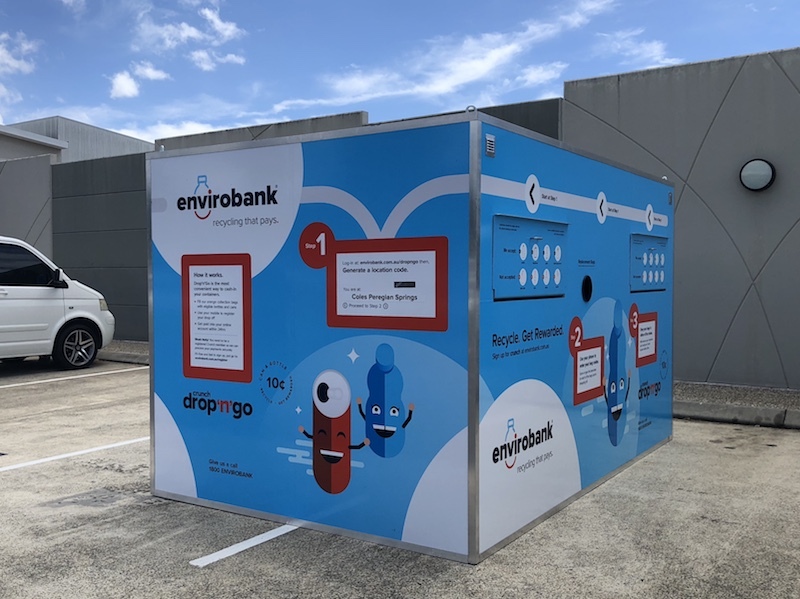 Envirobank will operate at least 48 collection points under Containers for Change, where businesses, fundraising groups and members of the community can return their eligible bottles and cans for the 10-cent refund. All containers collected at Envirobank’s automated depots, Drop’n’Go sites or pop-up collections are returned to the PRO, or Scheme Operator, for recycling. Returning your containers for a refund or reward is easy. Return to an Envirobank collection point. Earn refunds, rewards and good karma. What can and can’t be returned. *Please note some containers that are eligible for return in Queensland do not yet contain a refund marking on the label. Please contact containersforchange.com.au if you’re unsure. Where to return containers in Queensland. You can return your eligible drink containers at any Envirobank collection point in Queensland. Envirobank will operate automated bulk-collection depots in Townsville, the Sunshine coast, Brisbane and the Gold Coast. 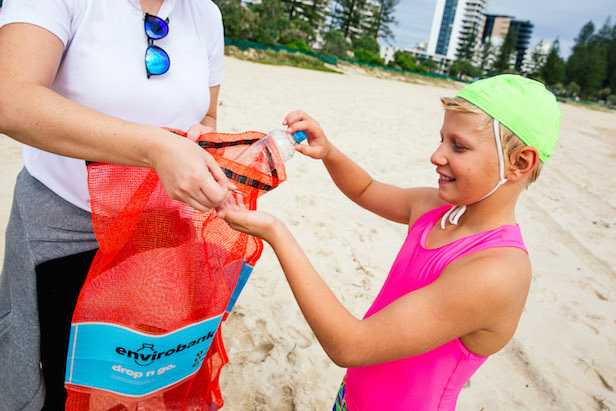 We will also manage, in partnership with Coles and Surf Life Saving Queensland, donation sites, drop-off sites and other collection services. Make the most out of recycling with Envirobank. 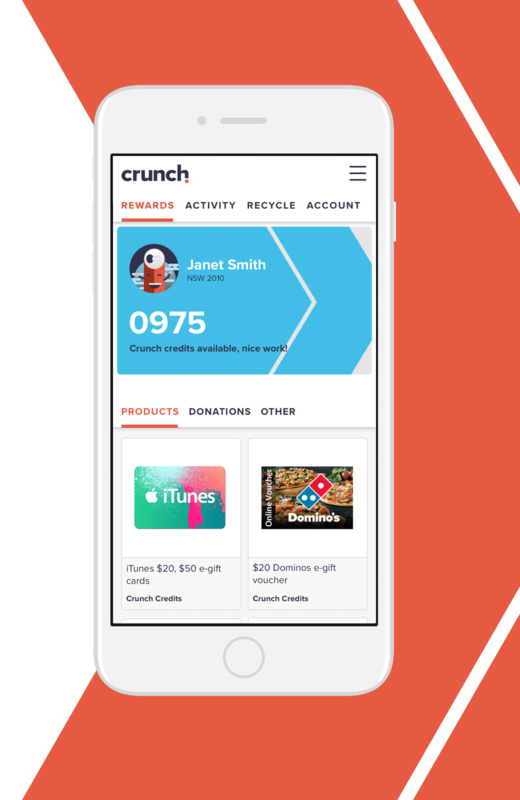 Through Envirobank’s rewards program, Crunch, you can access extra tips and tricks for recycling at our depots and Drop’n’Go locations. You can also track your environmental impact and turn your refunds into great value gift cards and rewards.